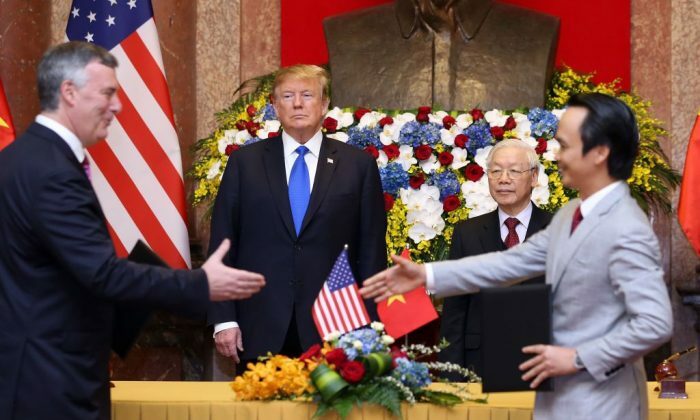 HANOI, Vietnam—Ahead of his historic summit with Korean leader Kim Jong Un, President Donald Trump held bilateral talks with Vietnamese leaders and oversaw the signing of several trade deals on Feb. 27 in Vietnam’s capital Hanoi. Trump first met with President Nguyen Phu Trong at the presidential palace. During the meeting, U.S. companies Boeing Co., GE Aviation, and travel technology firm Sabre Corp. secured contracts worth more than $21 billion. According to the agreements, VietJet will buy 100 Boeing 737-Max jets and 215 GE/CFM joint venture engines, Bamboo Airways will buy 10 Boeing 787-9 jets, and Vietnam Airlines will buy $100 million in services and technology from Sabre. The White House said the deals would support over 83,000 American jobs. The U.S. Federal Aviation Administration recently announced that Vietnam complied with international aviation standards, allowing Vietnamese carriers to provide direct service to the United States for the first time. 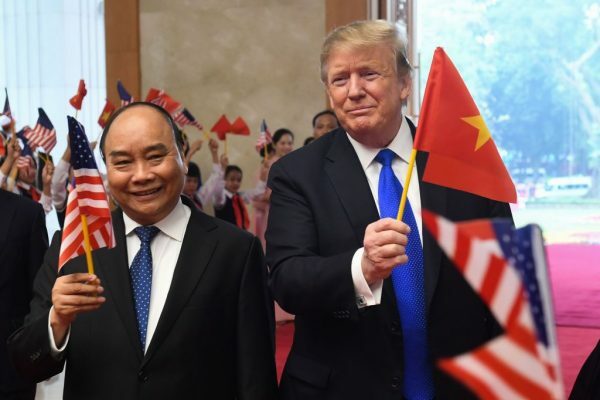 Trump also attended a working lunch with Vietnam’s Prime Minister Nguyen Xuan Phuc at Hanoi’s government office building. Trump thanked Vietnamese leaders for hosting his meeting with Korean leader Kim. Both sides agreed on the “need for continued progress toward the final, fully verified denuclearization of the Korean Peninsula,” stated the White House. “Vietnam is thriving like few places on earth,” Trump wrote on Twitter before his meetings with Vietnamese leaders. On the way back to JW Marriott, the accommodation of the U.S. president, Trump’s motorcade drove down a street lined by people with traditional dresses, waving Vietnamese and U.S. flags. And outside the government complex, thousands of onlookers watched, waved, and took photos with their phones. Hanoi residents have been caught up in the excitement of the upcoming summit. A 62-year-old Hanoi resident said he took a day off to see Trump and finally caught the American president’s motorcade passing by. 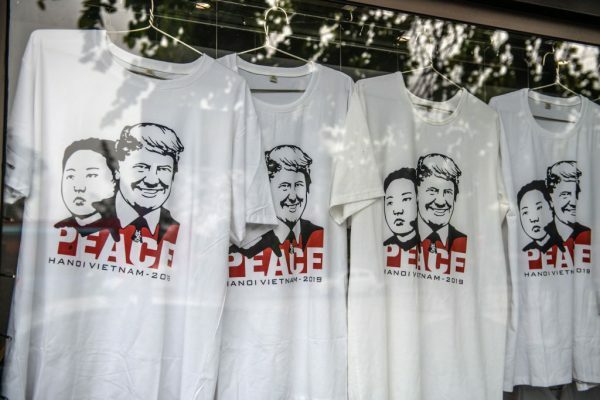 A 47-year-old Vietnamese artist, Hung Cuu Long, was seen displaying his painting of Trump and Kim in front of the JW Marriott hotel. “Even though the fake news media talk about Trump with negative words like ‘sick, crazy or pervert,’ but I think if you cannot do what you promised, then things will never change for the better,” he told Reuters. The summit between Trump and Kim began with a social dinner between the United States and North Korea at the Sofitel Legend Metropole, Hanoi’s French-colonial-era hotel. The hotel will host the formal meetings on the second day of the summit as well.